Years ago I had to be on steroids for an extended time. I didn’t sleep much and one of my coping mechanisms was reading about music. I found Robert Christgau’s Consumer Guide and, impelled by the prednisone, read his massive, alphabetical catalog of reviews in order. (It was slightly crazy, even given the prednisone. I can see that now.) I also read reviews on Pitchfork, trolled Metacritic for new releases, and was generally obsessed with finding and listening to new music. I needed a fix to counteract the “I wanna peel off my skin” feeling of the steroids. On the upside, my mania introduced me to a lot of good music. 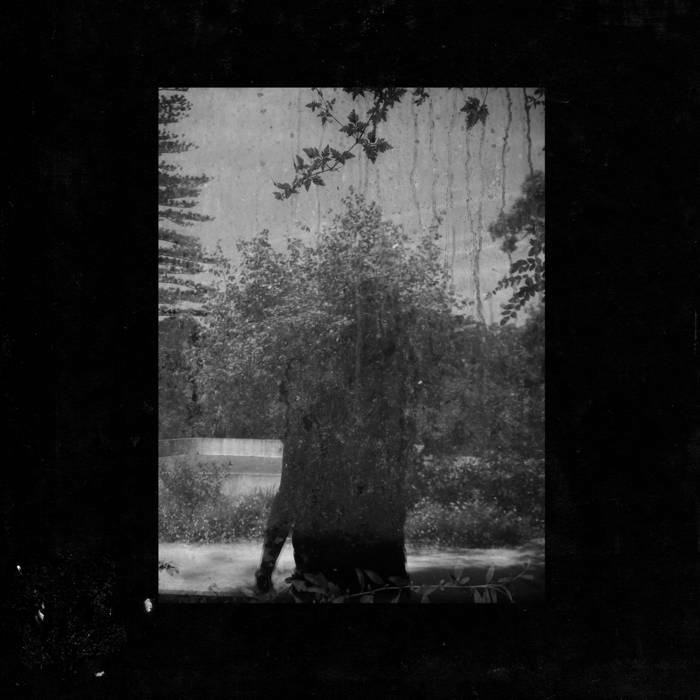 One of the albums I found was Ruins, by a band called Grouper. The “band” is actually Liz Harris, a musician who lives in Oregon, and her album is as spare sonically as the band’s lineup. A lot of the lyrics are more breathed than sung, often accompanied only by Harris singing over her piano and sometimes ambient noises such as crickets and frogs croaking. It’s not exactly accessible, but it’s beautiful and I found it immediately arresting. Ruins served the double purpose of being good music and a kind of balm in itself. Though her style is different, the sonic effect felt a lot like Gregorian chants, or Enya, but without the gnomic bourgeois weirdness that music always evokes for me. It felt fresh and restorative. Despite the album’s name, it held no darkness, no decay. Just a steady thrum of subtle, but strangely catchy musical phrases. I listened to it more than one sleepless, prednisone-fueled night to bring myself down from the anxious edge. When Nina got cancer — not long after my bout with steroids — it had a strange effect on her anxiety issues — which were chronic-generalized not situational-steroidal. One the one hand, as she wrote in The Bright Hour, the “terrible thing” she’d been dreading anxiously for years had finally happened. This meant, by and large, that she was no longer in the thrall of her prior fear of the unknown, lurking, deadly thing that could never be totally ruled out. By contrast, when she had actual doom bearing down on her, Nina handled mortality as well as I can imagine. But there were times when the weight of the whole thing shook her to the core. I still can’t fathom what she was going through, with her life all around her still going on – our boys growing out of their shoes, me going to work, days on the calendar passing, all while she contemplated how precious little now connected her to all of it. There were a (surprisingly) few nights when it really got the better of her. She was experiencing what I guess is true, organic, existential dread. There was nothing for it. We tried what we’d learned in dealing with her previous anxiety. But some of the tools from the generalized anxiety toolbox no longer suited: you can’t decatastrophize metastatic cancer. It’s a textbook catastrophe. An actual matter of life and death. One night we were trying the standard litany – mindful breathing, relaxation, opening the windows surrounding our bed to let the night air in, lighting candles – to no avail. I asked her if she’d let me play some relaxing music. She was skeptical (our musical tastes had a lot of overlap, but didn’t always align, and sometimes she felt I had a poor sense of “the room” when I’d put on weirder or edgier stuff – I still say The Coup livened up our parties and I will die on the small, humble hill of Shakira’s breasts!) but I reassured her this would be soothing. I played Ruins by Grouper and it had an immediate effect, which I didn’t notice at first because the effect was that Nina was quiet and calm. She didn’t fall asleep, but she felt less anxious almost right away. We listened to the whole album, and then when she did get drowsy, she asked me to play Ruins again so she could fall asleep to it. Up in our bedroom, we didn’t have a speaker, so I was just playing the album on my phone. The sound wasn’t as good, but we were playing even that soft, subtle album at a low volume anyhow. And there was something incredibly intimate about the whole experience – a tiny source of comforting sound for us, who felt so tiny tucked in our bed, surrounded by the ruins of a life together we had expected to last for a whole lot longer. From that night until she died, Ruins was our go-to music for soothing calm: in the car on the way to Duke Cancer Center, in the chemo bay during treatment, before a new set of scans, whenever we came to rest in an anxious, fretful place, that was the soundtrack. When Nina died, I couldn’t bring myself to listen to the album for a while. It was probably a few months until I played it. 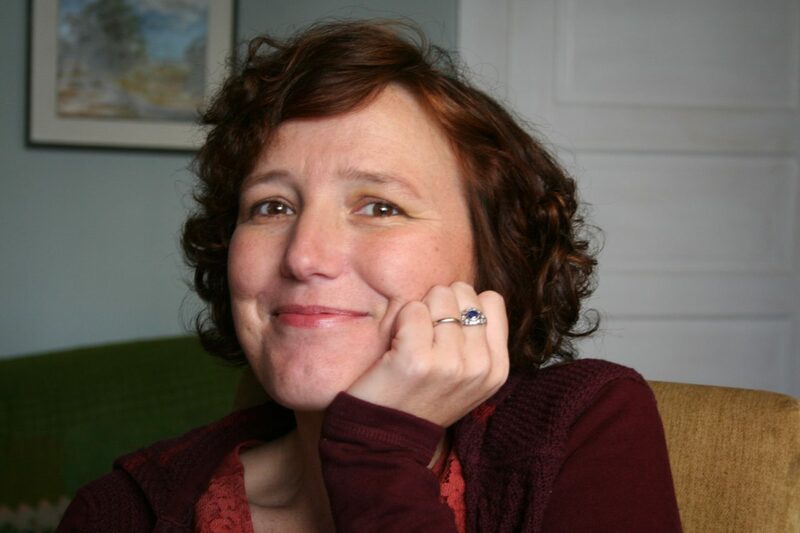 When I did, it evoked all the things I expected – her illness, the sterile smell of hospital walls, her trembling voice in our bed as she fought to control the uncontrollable feeling of her world shrinking to nothing. But it also brought a whole other set of new associations: actual ruins. I was in New York City visiting my sister on Roosevelt Island after Nina died and strolled down to the end of the island. 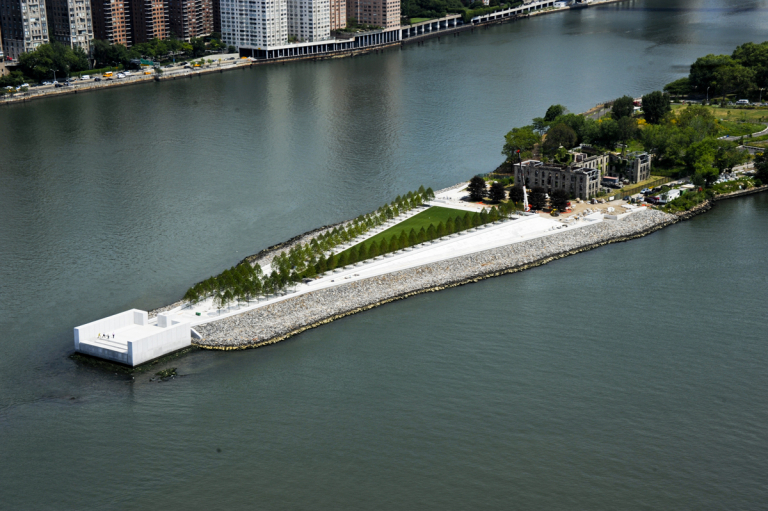 The island’s southern tip has been spiffed up in recent years, with a new park and memorial to FDR. Another prominent feature is the Smallpox Hospital – a 19th century gothic building designed by James Renwick, Jr., the same guy who designed St. Patrick’s Cathedral, the Smithsonian Institution Building, and the Corcoran Gallery of Art. I remembered the hospital from earlier visits with Nina – we had walked around it when it was still fallen into complete ruin, crumbling and surrounded by tall grasses and overgrown trees, and wondered if we were even allowed to be there, so strong was the sense of abandon. 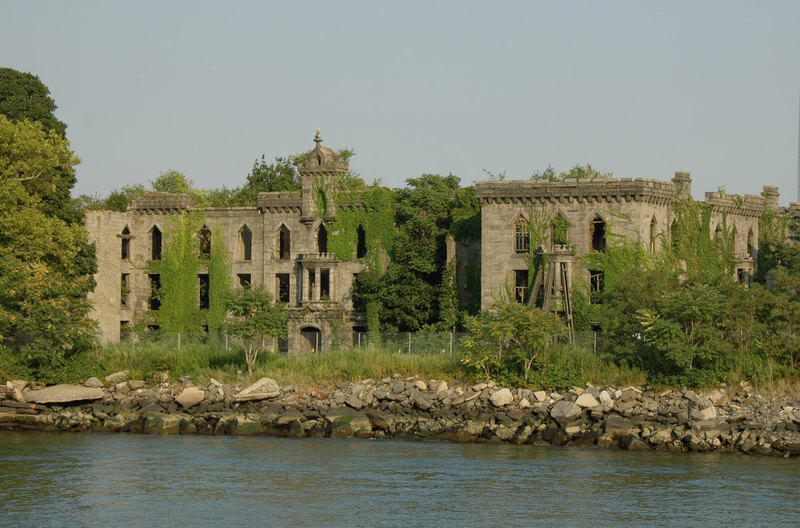 The Smallpox Hospital was allowed to fall into total ruin, nearly being taken over by Roosevelt Island vegetation, with portions crumbling to the ground. It was still dilapidated. But now it had a new wrought iron fence around it, a manicured lawn, and scaffolding to support the crumbling structure itself. Surrounded by the new park and well-lit, I had no trouble imagining it as an attraction – the building itself is beautiful, even in disrepair. But as I read the signage about a proposed restoration, I felt a pang of disappointment. I didn’t want the Smallpox Hospital to stop being a beautiful ruin. Not only did it feel more beautiful and enchanting to me that way, it felt organic to my situation – the building was bereft but still standing. The Smallpox Hospital ruin now stands in a beautiful park, adjacent to a fancy new memorial to FDR (which includes a giant disembodied statute of his head — lest you think the island is no longer weird and haunting). On a trip to Martinique Nina and I took back in 2003, we stayed on the Presque-isle La Caravelle. It’s a little peninsula on the east side of the island that juts out into the Atlantic. Our hotel was a good way out on the peninsula, and one day we decided to see what was out towards end. 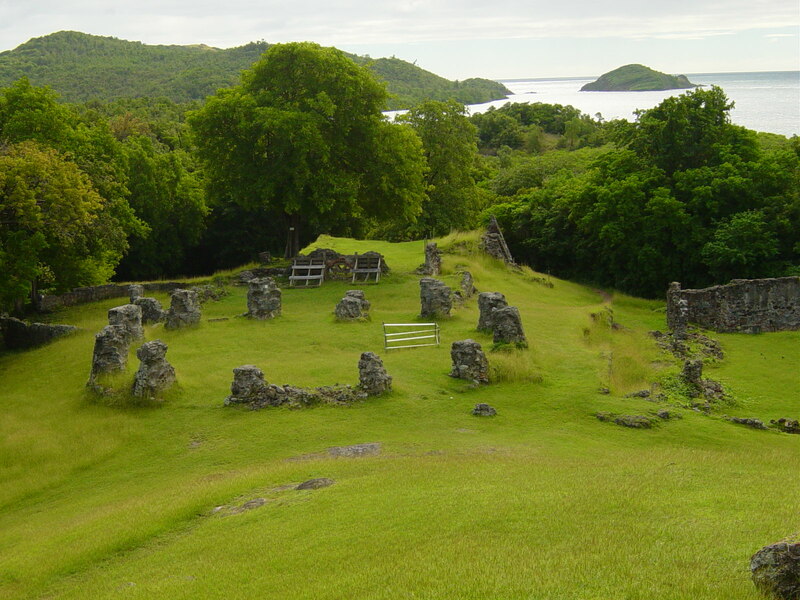 It turned out there was a ruined plantation called the Chateau Dubuc. NER on the beautiful, eerie grounds of the Dubuc plantation in Martinique, and a couple shots we took of the ruins during our meanderings around the grounds. 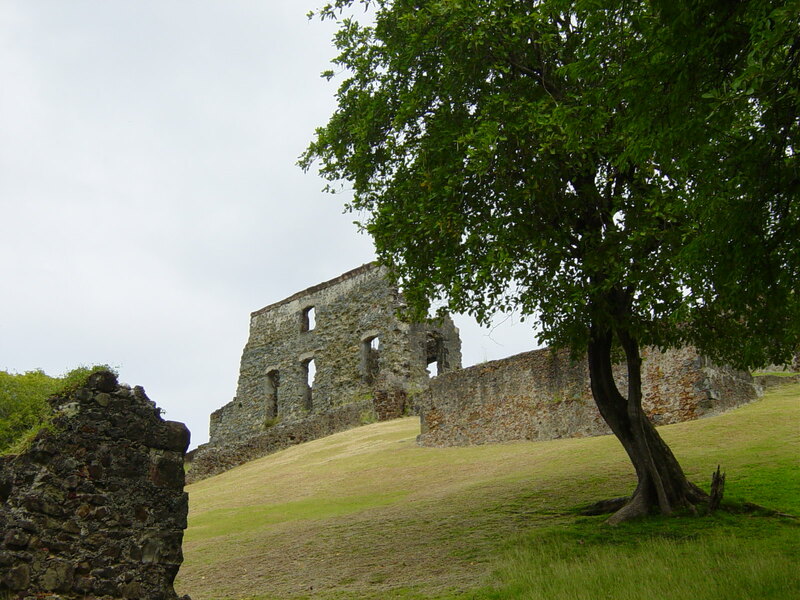 It was beautiful and haunting – the view of the plantation grounds framed by the Caribbean through the ruined walls of the castle both breathtaking and a reminder of the slave labor that cultivated the sugar, tobacco, and coffee cultivated by the Dubuc family. There is now a museum at the Chateau, but it was either closed or not extant during our visit. 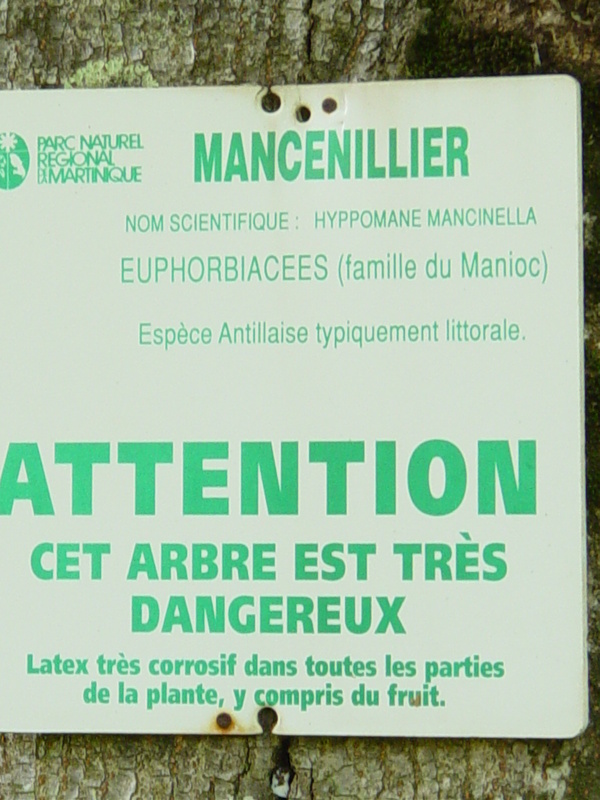 We just strolled the grounds, the only visitors, while I deciphered the French signage – our favorite was the one that warned of the beautiful but dangerously toxic manchineel trees (mancenillier, in French, AKA in English as beach apples and colloquially in Spanish as manzanillas de la muerte, or “little apples of death”) and cautioned visitors to maintain a safe perimeter from the foliage and the trees fruit, which looks like small apples but contain a highly toxic and corrosive substance. “Take care! This tree is very dangerous” was probably Nina’s all time favorite signage in any language. Our trip to Martinique was only a few years after we got married, before we had kids, while Nina was still getting her MFA in poetry. At the other end of our life together, shortly before Nina died, we took another Caribbean vacation – our last hurrah – this time to Turks & Caicos. Nina had only one criterion for this trip: it should be warm and beautiful – and T&C did not disappoint. On the drive from the airport and later on when we circumnavigated the island on a Vespa, we kept seeing houses that were only a foundation, or perhaps a single wall stood, but clearly uninhabitable. 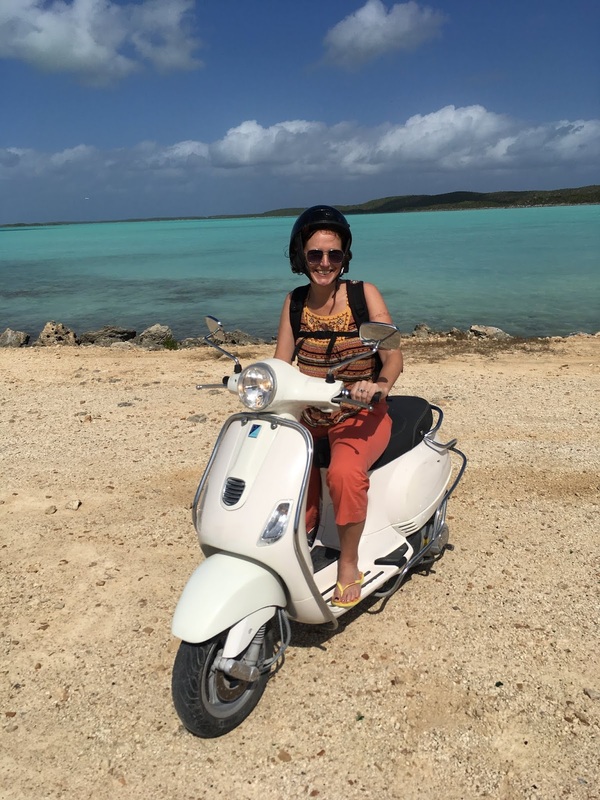 Astonishingly, Nina died just over two weeks after being astride a Vespa with the beautiful Chalk Sound behind her. It was so striking and pervasive, we asked a taxi driver if these were lingering damage from a hurricane or abandoned remnants of the housing crisis. He laughed and said that they were neither destroyed nor abandoned. In T&C, he explained, many local people did not have a lot of money, but plenty of time and patience. 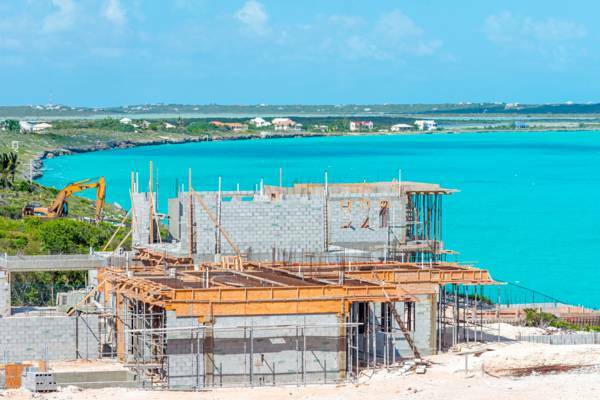 Land is relatively cheap, he said, but to buy building materials on an island that doesn’t produce them, is very expensive. So many people of modest means stake out a cheap plot of land, then slowly, over years, or even decades, construct the house – starting with the many foundations we saw in evidence. He told us sometimes the homesites get passed from one generation to the next before they’re finished. I find this memory soothing – the idea that the people of T&C don’t need their houses to spring full born from the ground, as we are accustomed in the U.S., but cultivate a ruin into a home with eons of care and labor. When Nina was dying, all I could think about was holding on to her. My work was mainly to support her in any way I could. But I also spent a lot of time and energy trying to keep from staring too long into the abysmal future. I knew I needed to think about the future and we discussed it frequently — never shying away from saying the hard things out loud was Nina’s way. But I focused on the here and now as much as I could because what came after could be dealt with afterwards, but Nina would be gone, and right then she was still present. I thought of Nina’s perspective as the opposite, in some ways. She had to wrestle with the concept of a rapidly shrinking life in all dimensions: she could was less and less able to navigate the world physically, her lifespan was measured in weeks, then days, and her thoughts of the future were about absence, not survivorship. 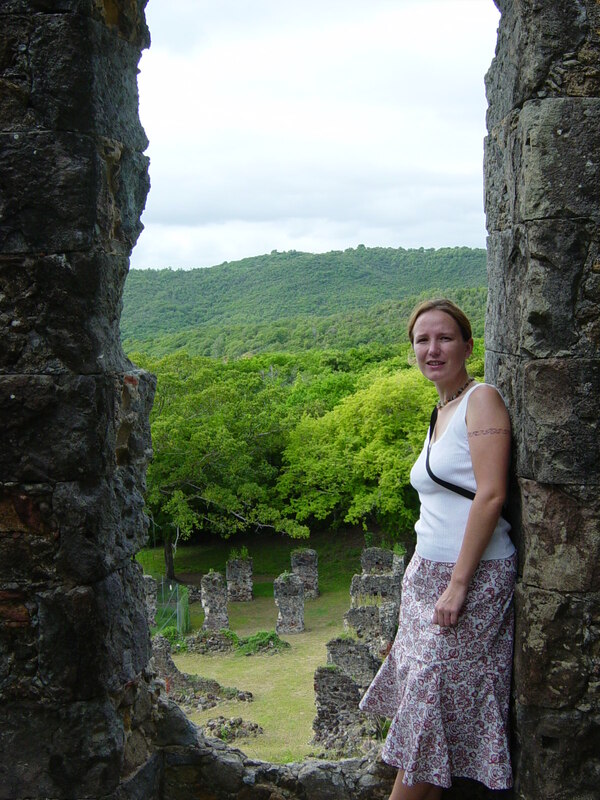 She would not be there to survey the ruins with me, the first journey we would not be making together in almost 20 years. The truth is, I have no idea what Nina was thinking or feeling beyond what she told me. I am unable to put myself in her shoes, even having gone through it with her. What do the dying feel? What does the world look like when you know that soon you’ll no longer be in it? Does it all seem like a crumbling ruin, haunting and filled with ghosts, like the end of the world you spent your life building? Or is the half-finished work of a dedicated tinkerer being passed on to her survivors because time just ran out? I recently learned that Liz Harris recorded Ruins in Portugal. I like to think this explains some of the redolence Nina found in her Grouper work. Back in 2001, when we moved to Paris, Nina’s parents took a “gap year” and lived with her then-teenage brother in Cascais, Portugal. Nina struggled with Paris – the language, the pace of life, all the Parisians – and we struggled too. We had only been married a year when we went, and so we felt a lot of our marital growing pains that year, plus the added stress of living abroad. Paris was as close to ruination as our relationship ever came. We were frayed and taut – having already gained the stressors of married life, but only begun to develop the skills to cope with them. At Christmas we visited Nina’s family in Cascais. I returned to Paris after the New Year for classes, but Nina stayed behind. The slow pace of Portugal and its ruined beauty – parts of the oldest neighborhood in Lisbon are still propped up from to the massive 1755 earthquake — which destroyed nearly the entire remainder of the city. One of the things she raved about was Sintra, the town and palace situated not far from where her parents lived. 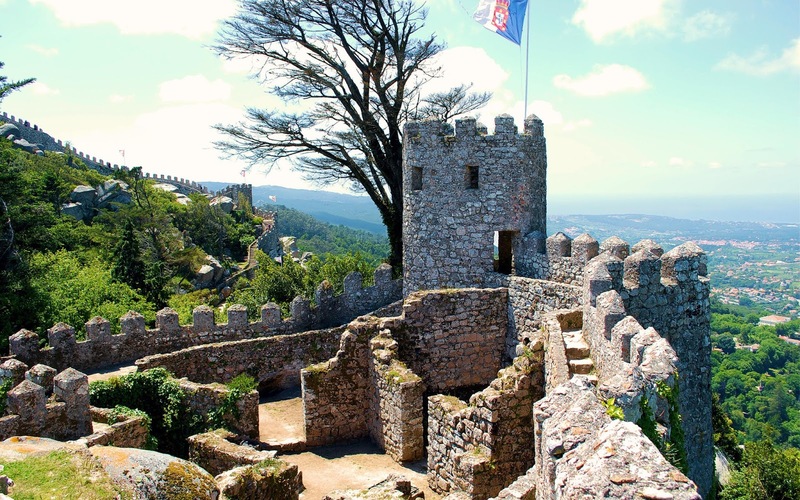 Sintra is a beautiful castle that dates from the 15th century. It is situated up in the hills in beautiful parkland and surrounded by the ruins of previous structures, including the Castle of the Moors that preceded it. A castle built on ruined castles. Nina loved the grounds, the castle, the winding mountain paths, all the Romantic allure of the place. She even loved the fact that it was a palace for kings of what became a second-tier monarchy, whose members outlived their dynasty’s glory. Part of the Castle of the Moors, now a ruin near the grounds of the Sintra Palace in Portugal. The Portuguese, maybe because that 1755 earthquake really did ruin a good portion of the country and its fortunes with it, or perhaps because they’re a nation of long-distance mariners, are known for what they call saudade. The word doesn’t translate, but it means a deep emotional state of nostalgic or profound melancholic longing for an absent something or someone that one loves. It also carries a repressed sense or knowledge that the object of longing may never return. It’s sad, but also not exactly a negative emotion. It sounds like it has a lot in common with grief, or with the indescribable feeling of huddling together in a bed around a tinny iPhone speaker, listening to the only sounds in the whole world that can bring you peace and calm. Gravity’s aging, slightly embarrassing rainbow. Mansplaining to Judges is a thing and we are all in very deep trouble.